is a two man job and can take circa three hours. It is an unpleasant task which involves working in a confined space, exposure to HAVS, risk of being hit by falling material and manual handling when removing debris. Two weigh bins that hold the slurry feed for the mixer also require manual cleaning every four weeks. 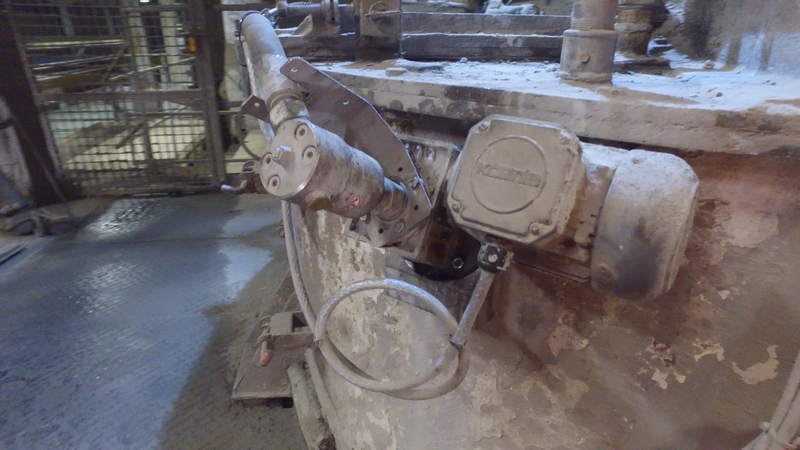 To mitigate these risks a new mixer wash system has been introduced. 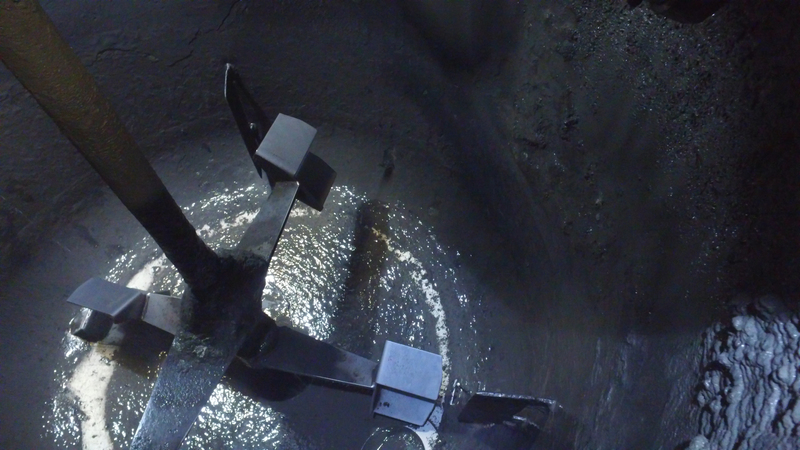 The mixer has been fitted with four rotating spray heads, each spray head delivers 50 litres of water every minute and operates at a pressure of 110bar. When activated one spray head will operate for 2.5 minutes, once the spray head has finished the next spray head will operate, again for 2.5 minutes, and then the third and fourth head. In total, 1,000 litres of water will be dispersed over a period of 10 minutes. The system is run twice a day with the water being collected and recycled. The two weigh bins have been fitted with one spray head each. Improved conservation and recycling of water.